As of this writing, Ukraine may be on the brink of major war; the dangerous situation could escalate in hours. There are many obstacles remaining for long-term success of an agreement to create a lasting peace. What can be done to find a permanent solution to this serious crisis? Many countries around the world have shown growing interest in a novel, but scientifically verified, militarily field-tested approach to reducing turmoil. 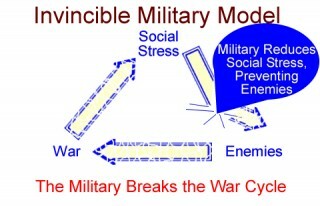 Among military circles worldwide, this approach is known as Invincible Defense Technology (IDT). The late Maharishi Mahesh Yogi revived systematic subjective technologies for experiencing the unified field, including the Transcendental Meditation program and its advanced techniques. These techniques have been successfully applied by members of many faiths to eliminate conflict. 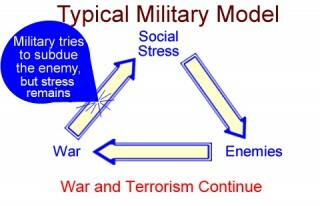 Militaries in Latin America and Asia, as well as in African countries like Mozambique, have already applied these non-lethal and non-destructive technologies to reduce collective societal stress and resulting conflict. IDT is further validated by 23 peer-reviewed studies carried out in both developed and developing nations. Share the post "Scientific Approach of IDT to End the Ukraine Conflict"